The quotes in this video are actual responses from second through fifth graders. 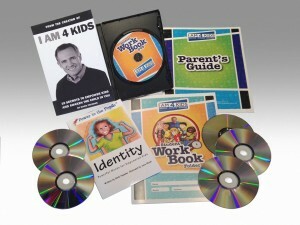 The I AM 4 Kids Foundation is committed to helping every elementary school aged child develop an empowering identity. I AM 4 Kids program shows children how to decide for themselves who are… starting right now! Our mission is to do for empowerment and development what Sesame Street did for Math and Reading. Our goal is to implement the program in every public and charter elementary school in the country within the next 10 years at NO COST to the schools. Invest in the next generation of leaders and entrepreneurs. Contact your local school principal and school board members. If you think this is a worthy cause that our schools badly need, then make a donation and ask your friends to do the same. Register Your School Today for I AM 4 Kids!